The Zero Pave is Speedplay's minimalist, race-tuned design built specifically to handle the harsh and unpredictable conditions of the legendary European cobbled classics. 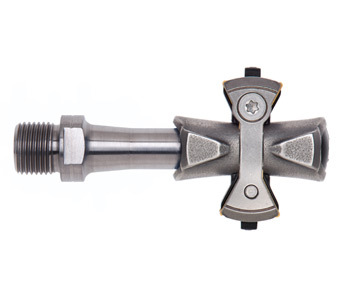 Based on Speedplay's popular Zero pedal technology, Pave pedals shave non-essential material to ensure entry and release in wet dirty environments. Developed exclusively for Speedplay's professional cycling teams, Zero Pave pedals have been thoroughly tested and proven over the years with numerous victories in the world's toughest races including Paris-Roubaix, Tour of Flanders, Gent-Wevelgem and Strade Bianche. Minimalist, skeletal pedal design for optimal functionality in extreme conditions. All non-essential body material has been shaved away for maximum clearance.